Registration includes event pass, event shirt, event beanie cap, event drawstring backpack, and lunch. The event will take place in the High Point Terrain Park on Challenger. A medal ceremony will immediately follow the event. 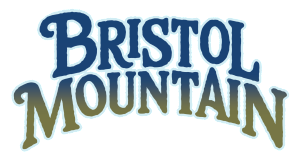 Bristol Mountain Park Staff will judge the event. Award Categories: Rail Jam (Gold, Silver, Bronze), Big Air (Gold, Silver, Bronze), Overall (Gold, Silver, Bronze), Best Effort Rail Jam, Best Effort Big Air, Best Effort Overall, Biggest Air, Best Rail Combo, Best Trick Rail Jam, Best Trick Big Air, Most Memorable, Mr. Swag, Ms. Swag, Judges Pick, Scott Delforte Award, Full Send Skier, Full Send Snowboarder. All proceeds from the Scott Delforte Park Jam support our local after school snowsports programs. The Scott Delforte Foundation provided for 58 students in the Greater Rochester and Finger Lakes Area to participate in their schools program for the 2018-2019 Season. To date the foundation has provided for 439 students. Thank you for your support.